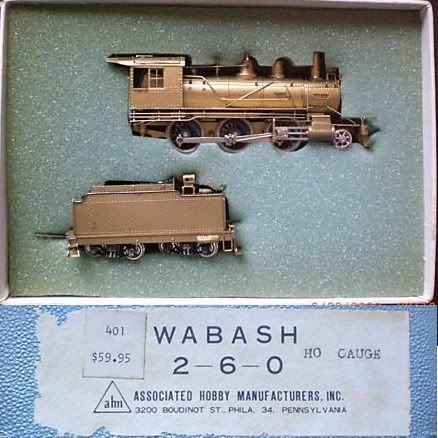 According to the 1967-68 catalog, this brass steam engine was available and part of AHM's line in 1967. 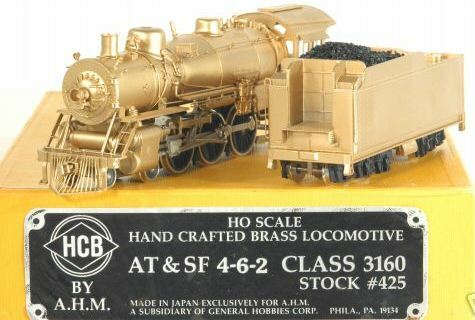 The brass locomotive collection from AHM includes five examples in the 1967-68 catalog (Pennsy J 1; 4-8-2 B&M/L&HR; NP 4-8-4 Class A2; 4-8-2 USRA Heavy; and Milwaukee 4-6-4 Class F6. No retail prices are provided in this catalog. 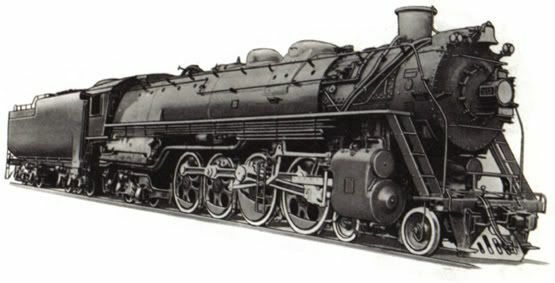 A late '60s AHM catalog calls for a deliver of Summer 1968 for this model. 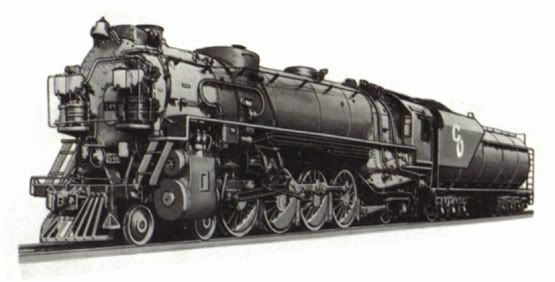 A fall '67 delivery is promised for this brass steam engine in the AHM line, according to the company's 1967-68 product catalog. 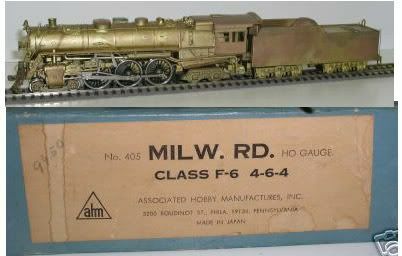 AHM literature states this brass steam engine model was available first in the fall of 1967. 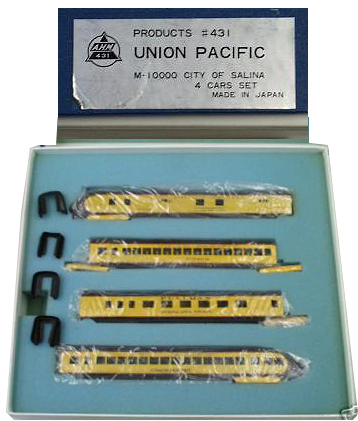 Here's an AHM item that you probably never saw on the discount shelf at Woolco, the 4-car brass Union Pacific M-10000 City of Salina streamliner. 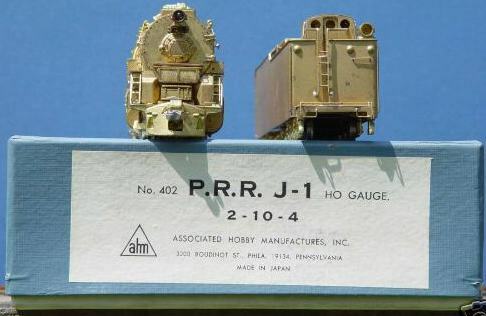 The 1979 retail was $650 for this HO-scale set.